Are you a prospective PhD student interested in learning more about our programs? Our webinar is an excellent opportunity to learn more about the program, course requirements and the admissions process. Meet the PhD program chair, Educational Services Coordinator and faculty, and learn more about our unique four-year-funded program. Applications for our September 2019 co-hort are due January 15, 2019. Instructions on how to access the webinar will be sent one week prior to the date – please RSVP using our online form. 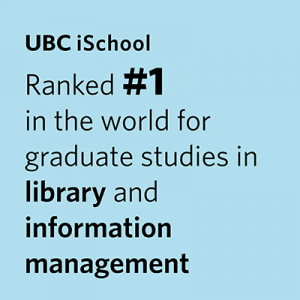 If you have questions about our information sessions, please contact the UBC iSchool Educational Services Coordinator.